The Short S.25 Sunderland was a British flying boat patrol bomber developed for the Royal Air Force by Short Brothers. Based in part upon the S.23 Empire flying boat, the flagship of Imperial Airways, the S.25 was extensively re-engineered for military service. It was one of the most powerful and widely used flying boats throughout the Second World War, and was involved in countering the threat posed by German U-boats in the Battle of the Atlantic. It took its name from the town (latterly, city) of Sunderland in northeast England. The early 1930s saw intense competition in developing long-range flying boats for intercontinental passenger service, but the United Kingdom had no match for the new American Sikorsky S-42 flying boats, which were making headlines all over the world. Then, in 1934, the British Postmaster General declared that all first-class Royal Mail sent overseas was to travel by air, effectively establishing a subsidy for the development of intercontinental air transport in a fashion similar to the U.S. domestic program a decade earlier. In response, Imperial Airways announced a competition between aircraft manufacturers to design and produce 28 flying boats, each weighing 18 tons (18.2 tonnes) and having a range of 700 miles (1,100 km) with capacity for 24 passengers. The contract went almost directly to Short Brothers of Rochester. Although Short had long built flying boats for the military and for Imperial Airways, none of them was in the class of size and sophistication requested, but the business opportunity was too great to pass up. Oswald Short, head of the company, began a fast-track program to come up with a design for a flying boat far beyond anything they had ever built. While the first S.23 was under development, which would later be a success in its own right, the British Air Ministry was taking actions that would result in a purely military version of the big Short flying boats. The 1933 Air Ministry Specification R.2/33 called for a next-generation flying boat for ocean reconnaissance. The new aircraft had to have four engines but could be either a monoplane or biplane design. The R.2/33 specification was released roughly in parallel with the Imperial Airways requirement, and while Shorts continued to develop the S.23, they also worked on a response to the Air Ministry's need at a lower priority. Chief Designer Arthur Gouge originally intended that a 37 mm COW gun be mounted in the bow with a single Lewis gun in the tail. As with the S.23, he tried to make the drag as low as possible, while the nose was much longer than that of the S.23. The military flying boat variant was designated S.25 and the design was submitted to the Air Ministry in 1934. Saunders-Roe also designed a flying boat, the Saro A.33, in response to the R.2/33 competition, and prototypes of both the S.25 and A.33 were ordered by the Ministry for evaluation. The initial S.25 prototype first took flight in October 1937. The S.25 shared much in common with the S.23 but was most notably different in that it had a deeper hull profile. As construction proceeded the armament was changed to a single Vickers K machine gun in the nose turret and four Browning machine guns in the tail. Then there was a change in the tail turret to a powered version and Gouge had to devise a solution for the resulting movement aft of the aircraft's centre of gravity. The prototype first flew, without armament, on 16 October 1937. After the preliminary flight trials the prototype (K4774) had its wings swept back by 4� 15' by adding a spacer into the front spar attachments. This moved the centre of lift enough to compensate for the changed centre of gravity. This arrangement flew on 7 March 1938 with Bristol Pegasus XXII engines of 1,010 hp (750 kW). As with the S.23, the Sunderland's fuselage contained two decks with six bunks on the lower one, a galley with a twin kerosene pressure stove, a yacht-style porcelain flush toilet, an anchoring winch, and a small machine shop for inflight repairs. The crew was originally intended to be seven but increased in later versions to 11 crew members or more. It was of all-metal, mainly flush-riveted construction except for the control surfaces, which were of fabric-covered metal frame construction. The flaps were Gouge-patented devices that moved rearwards and down, increasing the wing area and adding 30% more lift for landing. The thick wings carried the four nacelle-mounted Pegasus engines and accommodated six drum fuel tanks with a total capacity of 9,200 litres (2,025 Imperial gallons, 2,430 U.S. gallons). Four smaller fuel tanks were added later behind the rear wing spar to give a total fuel capacity of 11,602 litres (2,550 Imperial gallons, 3,037 U.S. gallons), enough for eight- to 14-hour patrols. The specification called for an offensive armament of a 37 mm gun and up to 2,000 pounds (910 kg) of bombs, mines or (eventually) depth charges. The ordnance was stored inside the fuselage and was winched up to racks, under the wing centre section, that could be traversed out through doors on each side of the (bomb room) fuselage above the waterline to their release position. Defensive armament included a Nash & Thomson FN-13 powered turret with four .303 British Browning machine guns in the extreme tail and a manually operated .303 on either side of the fuselage, firing from ports just below and behind the wings. Much later a twin-gun turret was to be dorsal mounted on the upper fuselage, about level with the wing trailing edge, bringing the total defensive armament from three to 18 machine guns. This was more than any other aircraft during the war. Portable beaching gear could be attached by ground crew so that the aircraft could be pulled up on land. The gear consisted of two 2-wheeled struts that could be attached to either side of the fuselage, below the wing, with a two- or four-wheel trolley and towbar attached under the rear of the hull. As with all water-based aircraft, there was a need to be able to navigate on water and to control the craft up to and at a mooring. In addition to the standard navigation lights, there was also a demountable mooring mast that was positioned on the upper fuselage just aft of the astrodome hatch with a 360-degree white light to show that the aircraft was moored. The crew were trained in common marine signals for watercraft to ensure safety in busy waters. The craft could be moored to a buoy by a pendant that attached to the keel under the forward fuselage. When the craft was off the buoy, the forward end of the pendant was attached to the front of the hull just below the bomb aimer's window. For anchoring, there was a demountable bollard that fixed to the forward fuselage from where the front turret was retracted to allow an airman to man the position and pick up the buoy cage or to toss out the anchor. A standard stocked anchor was stowed in the forward compartment alongside the anchor winch. Depending on the operating area, a number of different kinds of anchor could be carried to cope with different anchorages. For taxiing after landing, the galley hatches were used to extend sea drogues that could be used to turn the aircraft or maintain its crosswind progress (by deploying the drogue on one side only), or to slow forward motion as much as possible (both deployed). When not in use, the drogues were hand hauled back inboard, folded, and stowed in wall-mounted containers just below the hatches. Operation of the drogues could be a very dangerous exercise if the aircraft was travelling on the water at speed or in strong currents, because the approximately three-foot (1 m) -diameter drogue would haul up on its five-tonne attachment cable end inside the galley very sharply and powerfully. Once deployed, it was normally impossible to recover a drogue unless the aircraft was stationary relative to the local tidal flow. Another means of direction control on the water was by application of the flight controls, rudder and ailerons. The ailerons would cause asymmetric drag from the airflow and, ultimately, drop a float into the water to cause drag on that wing. The pilots could vary engine power to control the direction and speed of the aircraft on the water. In adverse combinations of tide, wind, and destination, this could be very difficult. The Sunderland was usually entered through the bow compartment door on the left forward side of the aircraft. The internal compartments-bow, gun room, ward room, galley, bomb room, and the after compartments-were fitted with swash doors to keep them watertight to about two feet (610 mm) above normal water level. These doors were normally kept closed. There was another external door in the tail compartment on the right side. This door was intended for boarding from a Braby (U-shaped) pontoon that was used where there was a full passenger service mooring alongside a wharf or similar. This door could also be used to accept passengers or stretcher-bound patients when the aircraft was in the open water. This was because the engines had to be kept running to maintain the aircraft's position for the approaching vessel and the front door was too close to the left inboard propeller. Normal access to the external upper parts of the aircraft was through the astrodome hatch at the front of the front spar of the wing centre section, just at the rear of the navigator's station. Bombs were loaded in through the "bomb doors" that formed the upper half walls of the bomb room on both sides. The bomb racks were able to run in and out from the bomb room on tracks in the underside of the wing. To load them, weapons were hoisted up to the extended racks that were run inboard and either lowered to stowages on the floor or prepared for use on the retracted racks above the stowed items. The doors were spring-loaded to pop inwards from their frames and would fall under gravity so that the racks could run out through the space left in the top of the compartment. The doors could be released locally or remotely from the pilot's position during a bomb run. Normally the weapons were either bombs or depth charges and the racks were limited to a maximum of 1,000 lb (450 kg) each. After the first salvo was dropped, the crew had to get the next eight weapons loaded before the pilot had the aircraft positioned on the next bombing run. The fixed nose guns (introduced by the Australians) were demounted when the aircraft was on the water and stowed in the gun room just aft of the bow compartment. The toilet was in the right half of this same compartment and stairs from the cockpit to the bow area divided the two. Maintenance was performed on the engines by opening panels in the leading edge of the wing either side of the powerplant. A plank could be fitted across the front of the engine on the extensions of the open panels. A small manually-started auxiliary petrol engine, which was fitted into the leading edge of the right wing, powered a bilge and a fuel pump for clearing water and other fluids from the fuselage bilges and for refuelling. Generally, the aircraft were reasonably water tight, and two people on a wobble pump could transfer fuel faster than the auxiliary pump. In sheltered moorings or at sea, fuelling was accomplished by a powered or unpowered barge and with engine driven or hand powered pumps. At regular moorings, there would be specially designed refuelling barges to do the job, normally manned by trained marine crew. These vessels could refuel many aircraft during the course of the day. Handling of the fuel nozzles and opening/closing the aircraft fuel tanks would normally be an aircraftman's task. Where there were unreliable fuel supplies, usually at outlying moorings away from any fixed base, it might take a crew of four 3-4 hours to transfer 2,000 gallons (9,092 litres) of fuel into the aircraft. If the barge had a capacity of only about 800 gallons (as was usual), it could take three times that long. Oil supplies and minor spares were carried in the aircraft at such outlying bases if the crew were operating autonomously. In serious cases, where refuelling from drums or when the supplies were otherwise in doubt, aircraft were refuelled through Chamois leather filters to separate the dirt, rust, and water from the fuel. Airframe repairs were either effected from the inside or delayed until the aircraft was in a sheltered mooring or beached. One of the serious problems was that the heat-treated rivets in the hull plates were susceptible to corrosion after a period in salt water (depending on the quality of the heat treatment process). The heads would pop off from stress corrosion, and leaks would start into the bilges. The only resort was to haul the aircraft out onto the hard and replace them, usually at the cost of many additional heads coming off because of the riveting vibrations. Most maintenance and servicing personnel had tools modified to attach them to their person because dropping a tool normally meant it was gone forever. Glooped was the explanation for the loss, being the sound of the tool entering the water. The beaching gear was large and unwieldy. The main legs had to be ballasted to sink, wheels down, so that the leg could be raised upright into its housing under the wing centre section, and then the lower part was pressed against the fuselage wall where it was pinned. This usually meant that two people would get completely wet. The tail trolley was also ballasted to sink under the aft fuselage where the seagoing section of the hull ended. The upper arms of the trolley were raised to locate in mating holes in the exterior skin of the hull where the main weight of the aircraft would ultimately keep it in place; but until then it was precariously unstable. Meanwhile a rope from the shore to the header buoy at the nose of the aircraft was threaded through the pulley on the buoy and attached to the aircraft's bollard. The shore end of this rope was managed by a person positioned at an electric capstan that would control the release of the aircraft from the buoy. A short rope connected the tail towing eye in the fuselage to another hauling device, most often a tractor, that was able to manoeuvre the aircraft on the slipway and on the hardstanding beyond. When all was ready, the bowman cast off from the buoy pendant. The tail was pulled carefully to the slipway and the header buoy rope was paid out from the capstan off to the side. The idea was that the tail trolley should be brought into contact with the submerged section of the slipway as gently as possible, ensuring that the aircraft remained securely in place on the trolley as it started rolling up the slip. A sharp impact on the trolley wheels, located approximately five ft (1.6 m) below the keel, was enough to rotate the trolley around its fuselage attachment arms and dislodge it, allowing the keel to strike the slip and thereby sustain damage. When tidal flow or wind adversely affected the positioning of the aircraft, a situation could arise where the tail and attachments were running true, but the nose of the aircraft had now swung to one extreme of the slipway, preventing the main wheels on one side from correctly contacting the slip. Consequently, it is not surprising that Sunderlands were not beached for minor reasons. Once the tail trolley was well up the slipway, a steering arm could be inserted into the lower part of the trolley and used to turn the wheels so that the assemblage could be guided to follow the tractor. Movement in the opposite direction was effected by a bridle attached to the front of the lower part of the main legs. On the slipway, the tail towing eye was used to restrain the aircraft from running away down the slope. A large float mounted under each wing stopped the aircraft from toppling over on the water. With no wind, the float on the heavier side was always in the water; with some wind, the aircraft could be held using the ailerons with both floats out of the water. If a float was lost as the craft lost airspeed after landing, crew members would go out onto the opposite wing to keep the remaining float in the water until the aircraft could reach its mooring. Aircraft with lower hull damage were patched or had the holes filled with any materials to hand before landing. The aircraft would then be immediately put onto a slipway with its wheeled beaching gear or beached on a sandy shore before it could sink. More than two fuselage compartments had to be full of water to sink the aircraft. During the Second World War, a number of severely damaged aircraft were deliberately landed on grass airfields ashore. In at least one case, an aircraft that made a grass landing was repaired to fly again. Marine growths on the hull were a problem; the resulting drag could be enough to prevent a fully-loaded aircraft from gaining enough speed to become airborne. The aircraft could be taken to a freshwater mooring for sufficient time to kill off the fauna and flora growing on the bottom, which would then be washed away during takeoff runs. The alternative was to scrub it off, either in the water or on the hard. The takeoff run of a flying boat was often dependent only on the length of water that was available. The first problem was to gain sufficient speed for the craft to plane, otherwise there would never be enough speed to become airborne. Once planing, the next problem was to break free from the suction (from Bernoulli's principle) of the water on the hull. This was partly helped by the "step" in the hull just behind the craft's centre of buoyancy at planing speed. The pilot could rock the ship about this point to try to break the downward pull of the water on the surface of the hull. Somewhat rough water was a help in freeing the hull from the water, but on calm days it was often necessary to have a high speed launch cross in front of the aircraft to cause a break in the water flow under the aircraft. It was a matter of judgement of the coxswain to get the crossing close enough but not too close. Because it was expected that some takeoffs would be protracted affairs, often the crews were not very careful to keep within maximum all-up weight limitations, and getting airborne just took a little longer. In such cases, the flight engineer would ignore the rising cylinder head temperatures and maintain the use of takeoff power for more than five minutes at a time. On Mk V aircraft, fuel could be dumped from retractable pipes that extended from the hull and were attached the bomb room side of the galley aft bulkhead. It was expected that dumping would be done while airborne, but it could also be done on the water, with care to ensure that the floating fuel went downwind away from the aircraft. During the Second World War, although British anti-submarine efforts were disorganized and ineffectual at first, Sunderlands quickly proved useful in the rescue of the crews from torpedoed ships. On 21 September 1939, two Sunderlands rescued the entire 34-man crew of the torpedoed merchantman Kensington Court from the North Sea. As British anti-submarine measures improved, the Sunderland began to show its claws as well. A Royal Australian Air Force (RAAF) Sunderland (of No. 10 Squadron) made the type's first unassisted kill of a U-boat on 17 July 1940. As aircrew honed their combat skills, the Sunderland Mark I received various improvements. The nose turret was upgraded with a second .303 (7.7 mm) gun. New propellers together with pneumatic rubber wing de-icing boots were also fitted. Although the .303 guns lacked range and hitting power, the Sunderland had a fair number of them and it was a well-built machine that was hard to destroy. On 3 April 1940, a Sunderland operating off Norway was attacked by six German Junkers Ju 88 medium bombers. It shot one down, damaged another enough to send it off to a forced landing and drove off the rest. The Germans are reported to have nicknamed the Sunderland the Fliegendes Stachelschwein ("Flying Porcupine") due to its defensive firepower . Sunderlands also proved themselves in the Mediterranean theatre. They performed valiantly in evacuations during the German seizure of Crete, carrying a surprising number of passengers. One flew the reconnaissance mission to observe the Italian fleet at anchor in Taranto before the famous Royal Navy Fleet Air Arm's torpedo attack on 11 November 1940. New weapons made the flying boats more deadly in combat. In 1939, one 100 lb anti-submarine bomb hit HMS Snapper merely breaking its light bulbs whilst other bombs had reportedly bounced up and hit their launch aircraft. In early 1943, these ineffective weapons were replaced by Torpex-filled depth charges that would sink to a determined depth and then explode. This eliminated the problem of bounce back and the shock wave propagating through the water augmented the explosive effect. While the bright Leigh searchlight was rarely fitted to Sunderlands, ASV Mark II radar enabled the flying boats to attack U-boats on the surface. In response, the German submarines began to carry a radar warning system known as "Metox", also known as the "Cross of Biscay" due to the appearance of its receiving antenna, that was tuned to the ASV frequency and gave the submarines early warning that an aircraft was in the area. Kills fell off drastically until ASV Mark III radar was introduced in early 1943, which operated in the centimetric band and used antennae mounted in blisters under the wings outboard of the floats, instead of the cluttered stickleback aerials. Sunderland Mark IIIs fitted with ASV Mark III were called Sunderland Mark IIIAs. Centimetric radar was invisible to Metox and baffled the Germans at first. Admiral Karl Dx�nitz, commander of the German U-boat force, suspected that the British were being informed of submarine movements by spies. In August 1943, a captured RAF airman misled the Germans by telling them that the aircraft were homing in on the signals radiated by the Metox, and consequently U-boat commanders were instructed to turn them off. In any case, the Germans responded by fitting U-boats with one or two 37 mm and twin quad 20 mm flak guns to shoot it out with the attackers. While Sunderlands could suppress flak to an extent by hosing the U-boat with their nose turret guns, the U-boats had the edge by far in range and hitting power. To help improve the odds, the Australians first fitted their aircraft in the field with an additional four .303s in fixed mounts in the nose, allowing the pilot to add fire while diving on the submarine before bomb release. Most aircraft were similarly modified. The addition of single .50 inch (12.7 mm) flexibly mounted M2 Browning machine guns in the (previously emptied) beam hatches behind and above the wing trailing edge also became common. The rifle calibre .303 guns lacked hitting power but the Sunderland retained its reputation for being able to take care of itself. This reputation was enhanced by an air battle between eight Junkers Ju 88C long range heavy fighters and a single RAAF Sunderland Mark III of No. 461 Squadron RAAF on 2 June 1943. This was one of several stories of the type's operations related by author Ivan Southall, who flew in Sunderlands during the war. There were 11 crewmen on board the Sunderland; nine Australians and two British. The aircraft was on an anti-submarine patrol and also searching for remains of BOAC Flight 777, an airliner that had left Lisbon the day before and had subsequently been shot down over the Bay of Biscay, killing actor Leslie Howard. In the late afternoon, one of the crew spotted the eight Ju 88s. Bombs and depth charges were dumped and the engines "redlined" . Two Ju 88s made passes at the flying boat, one from each side, scoring hits and disabling one engine while the Sunderland went through wild "corkscrew" evasive manoeuvres. On the third pass, the dorsal turret gunner shot one down. Another Ju 88 disabled the tail turret, but the next one that made a pass was hit by both the dorsal and nose turrets and shot down. Another destroyed the Sunderland's radio gear, wounding most of the crew to varying degrees and mortally wounding one of the side gunners. A Ju 88 tried to attack from the rear, but the tail turret gunner had regained some control over the turret and shot it down. The surviving Ju 88s continued to attack, but the nose gunner damaged one of these, setting its engines on fire. Two more of the attackers were also hit and the final pair disengaged and departed, the only two to make it back to base. The Sunderland had been heavily damaged. The crew threw everything they could overboard and nursed the aircraft back to the Cornish coast, where pilot Colin Walker managed to land and beach it at Praa Sands. The crew waded ashore, carrying their dead comrade, while the surf broke the Sunderland up. Walker received the Distinguished Service Order and several of the other crew members also received medals. With the exception of Walker, the crew returned to Sunderlands - they disappeared without trace over the Bay of Biscay two months later after reporting that they were under attack by six Ju 88s. At the end of the Second World War, a number of new Sunderlands built at Belfast were simply taken out to sea and scuttled as there was nothing else to do with them. In Europe it was removed from service relatively quickly but in the Far East, where well developed runways were less common and large land based maritime patrol aircraft like the new Avro Shackleton could not be used so easily, there was still a need for it, and it remained in service with the RAF Far East Air Force at Singapore until 1959, and with the Royal New Zealand Air Force's No. 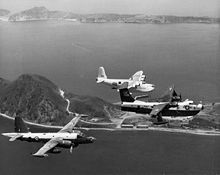 5 Squadron RNZAF and No. 6 Squadron RNZAF until 1967. During the Berlin Airlift (June 1948 - August 1949) 10 Sunderlands and two Hythes were used to transport goods from Finkenwerder on the Elbe near Hamburg to the isolated city, landing on the Havelsee lake beside RAF Gatow until it iced over. This is the only known operational use of flying boats within central Europe. The Sunderlands were particularly used for transporting salt, as their airframes were already protected against corrosion from seawater. Transporting salt in standard aircraft risked rapid and severe structural corrosion in the event of a spillage. When the Havelsee did freeze over the Sunderland's role was taken by freight-converted Handley Page Halifaxes with salt being carried in panniers fitted under the fuselage to avoid the corrosion problem. From mid-1950, RAF Sunderlands also saw service during the Korean War initially with No. 88 Squadron but shortly followed by Nos. 205 and 209 Squadrons. The three squadrons shared the operational task equally with rotational detachments of three or four aircraft and crews based at Iwakuni, Japan. Missions lasting 10 to 13 hours were flown daily throughout the war, and also during the Armistice period that followed, until September 1954. The Sunderland also saw service with the Royal New Zealand Air Force until the 1967. The French Navy Escadrille 7FE, which received Sunderlands when it was formed in 1943 as No. 343 Squadron RAF, continued to operate them until December 1960, the last unit to operate Sunderlands in the Northern Hemisphere. The first S.25, now named the Sunderland Mark I, flew from the River Medway on 16 October 1937 with Shorts' Chief Test Pilot, John Lankester Parker at the controls. The deeper hull and installation of nose and tail turrets gave the Sunderland a considerably different appearance from the Empire flying boats. The prototype was fitted with Bristol Pegasus X engines, each providing 950 hp (709 kW ), as the planned Pegasus XXII engines of 1,010 hp (753 kW) were not available at the time. The 37 mm gun, originally intended as a primary anti-submarine weapon, was dropped from the plans during the prototype phase and replaced with a Nash & Thomson FN-11 nose turret mounting a single .303 inch (7.7 mm) Vickers GO machine gun. The turret could be winched back into the nose, revealing a small "deck" and demountable marine bollard used during mooring manoeuvres on the water. The change of armament in the nose to the much lighter gun moved the centre of gravity rearwards. After the first series of flights the aircraft was returned to the workshop and the wing was swept 4.25� to the rear, thereby moving the centre of pressure into a more reasonable position in relation to the new centre of gravity. This left the engines and wing floats canted out from the aircraft's centreline. Although the wing loading was much higher than that of any previous Royal Air Force flying boat, a new flap system kept the takeoff run to a reasonable length and the aircraft first flew with the new wing sweep and the uprated Pegasus XXII engines on 7 March 1938. Official enthusiasm for the type had been so great that in March 1936, well before the first flight of the prototype, the Air Ministry ordered 21 production examples. Meanwhile, delivery of the other contender Saro A.33 was delayed and it did not fly until October 1938. The aircraft was written off after it suffered structural failure during high speed taxi trials and no other prototypes were built. The RAF received its first Sunderland Mark I in June 1938 when the second production aircraft (L2159) was flown to 230 Squadron at RAF Seletar, Singapore. By the outbreak of war in Europe, in September 1939, RAF Coastal Command was operating 40 Sunderlands. The main offensive load was up to 2,000 lb (910 kg) of bombs (usually 250 or 500 lb), mines (1,000 lb) or other stores that were hung on traversing racks under the wing centre section (to and from the bomb room in the fuselage). Later, depth charges (usually 250 lb) were added. By late 1940 two Vickers K machine guns had been added to new hatches that were inserted into the upper sides of the fuselage just aft of the wing, with appropriate slipstream deflectors. A second gun was added to the nose turret. New constant speed propellers and deicing boots were installed as well during 1940. As the defensive weaponry improved the aircraft became a formidable foe, even though it was far from base, travelled fairly slowly (120 knots and down to about 90 kt for long range cruise) and was usually at low altitude. But a Sunderland off Norway on 3 April 1940 was attacked by six Junkers Ju 88 with the result that one was shot down, one forced to immediately land and the others went home, much wiser. Later, over the Bay of Biscay eight Ju 88 attacked one Sunderland escorting a convoy and three were shot down by the patrol aircraft. A Sunderland made the vital reconnaissance of Taranto before the Royal Navy Fleet Air Arm's attack on the Italian navy there on 11 November 1940. The aircraft was not a great success at landing and taking off from rough water, but, other than in the open sea, it could be handled onto and off a short chop, by a skilled pilot. Many rescues were made, early in the war, of crews that were in the Channel having abandoned or ditched their aircraft, or abandoned their ship. In May 1941, during the Battle of Crete Sunderlands transported as many as 82 armed men from place to place in one load. Steep ocean swells were never attempted, however a calm ocean could be suitable for landing and takeoff. Beginning in October 1941, Sunderlands were fitted with ASV Mark II "Air to Surface Vessel" radar . This was a primitive low frequency radar system operating at a wavelength of 1.5 m. It used a row of four prominent "stickleback" yagi antennas on top of the rear fuselage, two rows of four smaller aerials on either side of the fuselage beneath the stickleback antennas, and a single receiving aerial mounted under each wing outboard of the float and angled outward. A total of 75 Sunderland Mark I were built: 60 at Shorts' factories at Rochester and Belfast, Northern Ireland, and 15 by Blackburn Aircraft at Dumbarton. The RAF allocated the AP1566 series of air publications to the Sunderland. In August 1941, production moved on to the Sunderland Mark II which used Pegasus XVIII engines with two-speed superchargers, producing 1,065 hp (794 kW) each. The tail turret was changed to an FN.4A turret that retained the four .303 guns of its predecessor but provided twice the ammunition capacity with 1,000 rounds per gun. Late production Mark IIs also had an FN.7 dorsal turret, mounted offset to the right just behind the wings and fitted with twin .303 machine guns. The hand held guns behind the wing were removed in these versions. Only 43 Mark IIs were built, five of these by Blackburn. Production quickly went on in December 1941 to the Sunderland Mark III which featured a revised hull configuration which had been tested on a Mark I the previous June. This modification improved seaworthiness, which had suffered as the weight of the Sunderland increased with new marks and field changes. In earlier Sunderlands, the hull "step" that allows a flying boat to "unstick" from the surface of the sea was an abrupt one, but in the Mk III it was a curve upwards from the forward hull line. The Mark III turned out to be the definitive Sunderland variant, with 461 built. Most were built by Shorts at Rochester and Belfast, a further 35 at a new (but temporary) Shorts plant at White Cross Bay, Lake Windermere; while 170 were built by Blackburn Aircraft. The Sunderland Mark III proved to be one of the RAF Coastal Command's major weapons against the U-boats, along with the Consolidated Catalina. As the U-boats began to use Metox passive receivers the ASV Mk II radar gave away the presence of aircraft and the number of sightings diminished drastically. The RAF response was to upgrade to the ASV Mk III, which operated in the 50 cm band, with antennas that could be faired into fewer more streamlined blisters. During the Mk III's life there were a large number of almost continuous improvements made, including the ASV Mk IIIA and four more machine guns in a fixed position in the wall of the forward fuselage just behind the turret (developed on RAAF aircraft first) with a simple bead and ring sight for the pilot. Despite the 14-hour-long patrols expected of their crews, early Sunderland gunners were provided with only 500 rounds of ammunition each. Later 1,000 round ammunition boxes were installed in the turrets. The beam hatch guns were removed from Mk II aircraft but Mk IIIs and then Mk Is gained much more capable .5 guns, one each side. Offensive weapons loads increased too. The introduction of the hydrostatically fused 250 lb (110 kg) depth charge meant that additional weapons could be carried on the floor of the bomb room in wooden restraints, along with ammunition boxes of 10 and 25 lb anti-personnel bombs that could be hand launched from various hatches to harass U-boat crews otherwise manning the twin 37 and dual quadruple 20 mm cannons that U-boats were fitted with. As radar detection became more effective there were more night patrols to catch U-boats on the surface charging their batteries. Attacking in the dark was a problem that was solved by carrying one inch (25.4 mm), electrically initiated flares and dropping then out of the rear chute of the aircraft as it got close to the surface vessel. Sunderlands never carried Leigh lights, probably because the flares were sufficient. By this time the crew workload had increased so much that it needed at least 10 to crew the aircraft. During attacks they were sorely pressed to get all of the necessary work done and crews took many shortcuts that possibly proved fatal in some cases. In early 1944 the ordnance load in the aircraft and the long length of patrols, meaning maximum fuel loads, required that much more powerful engines were needed. It was decided to fit 1,200 hp (890 kW) P&W R1830-90B, Twin Wasp, powerplants. These were commonly available and maintenance crews on Catalina, Liberator and Dakota aircraft were familiar with them. This led to the production of the Mk V aircraft. 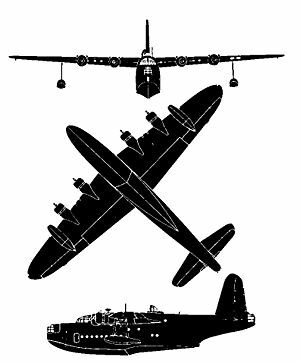 The Sunderland Mark IV was an outgrowth of the 1942 Air Ministry Specification R.8/42, for a generally improved Sunderland with more powerful Bristol Hercules engines, better defensive armament and other enhancements. The new Sunderland was intended for service in the Pacific. Although initially developed and two prototypes built as the "Sunderland Mark IV" it was different enough from the Sunderland line to be given a different name, the S.45 "Seaford". Relative to the Mark III, the Mark IV had a stronger wing, larger tailplanes and a longer fuselage with some changes in hull form for better performance in the water. The armament was heavier with .50 inch (12.7 mm) machine guns and 20 mm Hispano cannon. The changes were so substantial that the new aircraft was redesignated the Short Seaford. Thirty production examples were ordered; the first delivered too late to see combat and only eight production Seafords were completed and never got beyond operational trials with the RAF. The next production version was the Sunderland Mark V, which evolved out of crew concerns over the lack of power of the Pegasus engines. The weight creep (partly due to the addition of radar) that afflicted the Sunderland had resulted in running the Pegasus engines at combat power as a normal procedure and the overburdened engines had to be replaced regularly. Australian Sunderland crews suggested that the Pegasus engines be replaced by Pratt & Whitney R‑1830‑90B Twin Wasp engines. The 14-cylinder engines provided 1,200 hp (895 kW) each and were already in use on RAF Consolidated Catalinas and Douglas Dakotas, and so logistics and maintenance were straightforward. Two Mark IIIs were taken off the production lines in early 1944 and fitted with the American engines. Trials were conducted in early 1944 and the conversion proved all that was expected. The new engines with new propellors provided greater performance with no real penalty in range. In particular, a Twin Wasp Sunderland could stay airborne if two engines were knocked out on the same wing while, in similar circumstances, a standard Mark III would steadily lose altitude. Production was switched to the Twin Wasp version and the first Mark V reached operational units in February 1945. Defensive armament fits were similar to those of the Mark III, but the Mark V was equipped with new centimetric ASV Mark VI C radar that had been used on some of the last production Mark IIIs as well. A total of 155 Sunderland Mark Vs were built with another 33 Mark IIIs converted to Mark V specification. 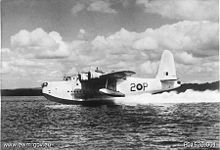 With the end of the war, large contracts for the Sunderland were cancelled and the last of these flying boats was delivered in June 1946, with a total production of 749 aircraft completed. Picture - Sunderland III of Aquila Airways at Hamble Beach in 1955. This aircraft had served BOAC 1943-1948. In late 1942, the British Overseas Airways Corporation (BOAC) obtained six Sunderland Mark IIIs and modified them for service as mail carriers to Nigeria and India, with primitive accommodation for seven passengers. Armament was removed, the gun positions being faired over, and simple seating fitted in place of the bunks. As such they were operated by BOAC and the RAF jointly from Poole to Lagos and Calcutta. Minor modifications to the engine angles and flight angle resulted in a significant increase in the cruise speed, which was a relatively unimportant issue for the combat Sunderlands. In late 1944, the Royal New Zealand Air Force acquired four new Sunderland Mk IIIs already configured for transport duties. In the immediate postwar period, these were used by New Zealand's National Airways Corporation to link South Pacific Islands in the "Coral Route" before TEAL Short Sandringhams took over after 1947. BOAC obtained more Mark IIIs and gradually came up with better accommodation for 24 passengers, including sleeping berths for 16. These conversions were given the name Hythe and BOAC operated 29 of them by the end of the war. In February 1946 the first of these, G-AGJM, made a 35,313 mile route survey from Poole to Australia, New Zealand, Hong Kong, Shanghai and Tokyo in 206 flying hours. It was the first British civil flying boat to visit China and Japan. A more refined civilian conversion of the Sunderland was completed by the manufacturer as the postwar Short Sandringham. The Sandringham Mk. I used Pegasus engines while the Mk. II used Twin Wasp engines. ML814 a Mark III, converted to Mark V and then for passenger work is on display in Kermit Weeks' Fantasy of Flight in Florida. It was bought in 1993, and flown across the Atlantic from the UK. According to the FOF website ML814 is the "last 4-engined passenger flying boat that can still fly. "Formally RNZAF NZ4108 - SH.974b MR.5 went to Airlines of New South Wales as VH-BRF "Islander" and was converted to a Sandringham in Australia. Airlines of New South Wales subsequently taken over by the major Australian airline Ansett and became Ansett Flying Boat Services and operated out of Rose Bay, Sydney, Australia until 1974. In addition a few aircraft have been preserved as static museum exhibits. ML824 is on display at the RAF Museum Hendon, who acquired it in 1971. ML796 is on display at Imperial War Museum Duxford in Cambridgeshire. NJ203 RAF Short Sunderland IV/Seaford I S-45 NJ203. 1947 Converted to Short Solent 3 by Short Bros Belfast. 1949 BOAC G-AKNP “City of Cardiff". 1951 Trans Oceanic Airways of Australia as VH-TOB "Star of Papua". 1953 South Pacific Air Lines as N9946F "Isle of Tahiti". Last flew 1958. 1958 Howard Hughes - Hughes Tool Company. Since 1990 On display at the Oakland Aviation Museum. NZ4111 located at the Chatham Islands. Serving with No. 5 Squadron 6 RNZAF March-11 April 1959, coded KN-D; it took part in a flypast to mark the opening of the Auckland Harbour Bridge on 30 May 1959. On 4 November 1959, it was badly damaged in an accident in the Chatham Islands when the Sunderland hit rocks in Te Whanga Lagoon while taxiing and sank in shallow water. Stripped of usable parts and written off RNZAF books on 9 December 1959. First of the RNZAF Mk.5 Sunderlands to be written off due to damage. Aircraft fuselage was broken into major components for use on a farm, the owners are now reassembling the hull and fuselage sections. NZ4112 - Hulk used by Hobsonville Yacht Club until 1970, then scrapped. Cockpit and front of aircraft transported to the Ferrymead Heritage Park for the Ferrymead Aeronautical Society Inc. Christchurch, New Zealand. 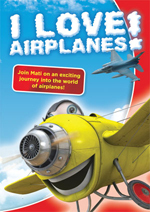 Organised by MOTAT aviation. NZ4115 is on display at the Museum of Transport and Technology in Auckland, New Zealand. Major hangar building project has been underway in 2010 and it is expected to be undercover in 2011, allowing restoration to be completed to a high display standard. Although not a surviving airframe, Sunderland T9044 lies on the seabed off Pembroke Dock in Wales. The site is protected, and The Pembroke Dock Sunderland Preservation Trust aims to recover the aircraft in the future. Bombs: various defensive and offensive munitions, including bombs, mines and depth charges carried internally and, some, winched out beneath the wings. Manually launched flares, sea markers and smoke-floats. Barnes C.H. and Derek N. James. Shorts Aircraft since 1900. London: Putnam, 1989. ISBN 0-85177-819-4. Bowyer, Chaz. Sunderland at War. Shepperton, Surrey, UK: Ian Allan Ltd., 1976. ISBN 0-7110-0665-2. Bridgman, Leonard, ed. "The Short S-25 Sunderland." 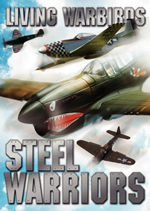 Jane's Fighting Aircraft of World War II. London: Studio, 1946. ISBN 1-85170-493-0. Butler, Tony, AMRAeS. Short Sunderland (Warpaint Series No. 25). Milton Keynes, UK: Hall Park Books Ltd., 2000. Eden, Paul, ed. 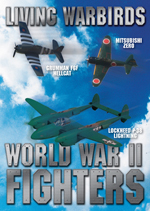 The Encyclopedia of Aircraft of WW II. Leicester, UK: Silverdale Books/Bookmart Ltd, 2004. ISBN 1-84509-013-6. Evans, John. The Sunderland Flying-boat Queen, Volume I. Pembroke Dock, Pembrokeshire: Paterchurch Publications, 1987. ISBN 1-870745-00-0. Evans, John. The Sunderland Flying-boat Queen, Volume II. Pembroke Dock, Pembrokeshire: Paterchurch Publications, 1993. ISBN 1-870745-03-5. Evans, John. The Sunderland Flying-boat Queen, Volume III. Pembroke Dock, Pembrokeshire: Paterchurch Publications, 2004. ISBN 1-870745-13-2. Grant, Mark. Australian Airpower 1914 to 1945. Marrickville, NSW: Topmill P/L, 1996. ISBN 1-876043-28-8. Johnson, Brian. The Secret War. London: BBC (British Broadcasting Corporation), 1978. ISBN 0-563-17769-1. Kightly, James. "Sunderland Survivors." Aeroplane, February 2009. Lake, Jon. Sunderland Squadrons of World War 2. Oxford, UK: Osprey Publishing, 2000. ISBN 1-84176-024-2. Miller, David. U-Boats: The Illustrated History of The Raiders of The Deep. London: Brassey's Inc., 2002. 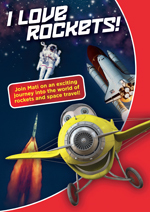 ISBN 1-57488-246-5. Nicolaou, Stephane. Flying Boats & Seaplanes: A History from 1905. New York: Zenith Imprint, 1998. ISBN 0-7603-0621-4. 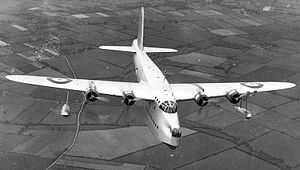 Short Sunderland (AP1566). (Suffixes A through E for Mk I through V, -PN and Vols 1 through 4 for Pilots Notes, General Description, Maintenance, Overhaul and Parts Manuals). London: RAF (Air Publication), 1945. Southall, Ivan. Fly West. Woomera: Australia: Angus and Robertson, 1976. ISBN 0-207-13002-7. Tillman, Barrett. Brassey's D-Day Encyclopedia: The Normandy Invasion A-Z." London: Brassey's, 2004. ISBN 1-57488-760-2. Werner, H. A. Iron Coffins: A U-boat Commander's War, 1939-45. London: Cassells, 1999. ISBN 0-30435-330-2.